Here in Denver, Colorado, we know why Mr. B. should be a Hall of Famer. The reasons, of which there are many, seem obvious to us. To a Broncos fan, Pat Bowlen did everything (and more) anyone could ever expect of their favorite team’s owner. Under Bowlen, the Broncos have been to more Super Bowls (7) than they’ve suffered losing seasons (6). Fans in Denver haven’t had to sit through back-to-back losing seasons since 1972 – on Bowlen’s watch, they never did. And he spent money on the product, too. Never have fans in Denver had to wonder, at least while Bowlen held the role of Chief Executive Officer (through 2014), if money came into play. Before the salary cap was introduced in 1994, personnel decisions seemingly had everything to do with whether a player would help the ballclub, and nothing to do with what he cost. Even in the salary cap era, the Broncos utilized front end loaded deals and “cash” regularly to make sure players stayed put and happy in orange. If ever there was a complaint about Bowlen’s use of funds, it was that he may have potentially overspent in the late ‘90s – some creative, deferred payments to the likes of John Elway and Terrell Davis , cost the Broncos a fine and pair of third round picks (a small price for back-to-back Super Bowls, if the accounting issue had anything to do with the Broncos titles at all). If sports are about winning, Bowlen checks all the boxes and then some. If they’re about entertainment, he stacks up well there, too. After all, the Broncos possess the NFL’s longest consecutive sellout streak. These reasons alone seem obvious to us – here. Now that Bowlen is finally on the Hall of Fame ballot, the question that ought to surface is one that’s trickier to answer: Why isn’t Pat Bowlen already in? Quick: List off all the owners of professional sports teams – past or present – that you can think of. Without knowing your personal list, smart money would wager that names like Mark Cuban, Jerry Jones, Robert Kraft or maybe George Steinbrenner came to mind first. And after that, coming up with the names of professional sports owners becomes a challenge. For the most part, owners are not generally part of the story outside of their own city. Rarely are owners interviewed after games (like Jerry Jones), and it’s the exception, not the rule, that owners show up on television (like Robert Kraft… regularly chatting it up in the suite with celebs like Aerosmith and Mark Wahlberg). Most owners don’t gripe about rules publicly or wind up on reality television (ala Cuban). There’s certainly nothing wrong with some of America’s richest folks doing any or all of that, but there’s nothing wrong with being a bit more subdued and behind the scenes (like Pat Bowlen). Do some quick Googling. Bowlen’s name doesn’t find its way onto many national “best owners in sports” lists. One ESPN Page 2 Article doesn’t have Bowlen on the list; a minor-league baseball team owner – Miles Wolff, who owns the Durham Bulls – is however. A Fortune article that lists the NFL’s “best businessmen” ranks Bowlen at No. 18 – behind the likes of Washington’s Daniel Snyder (No. 12), Houston’s Robert McNair (No. 9) and Buffalo’s Terry and Kim Pegula (No. 7). That list certainly isn’t using the same criteria as the folks deciding on bronze busts, but it’s an indicator of the general lack of awareness of what Bowlen has done for America’s most coveted product (Hint: The NFL). There are countless other lists that have similar, practically inexplicable, rankings amongst sports owners. Then again, as a fan (or even if you’re a journalist) do you truly care about how much money NFL owners make? Does the enormity of a league’s television contract fascinate you more than wins, losses, amazing catches, big hits or championships? Aside from being interesting trivia, the dollars behind a league as big as the NFL are barely fathomable, much less why we like or care about the sport or our favorite team. What Bowlen did for the NFL’s bottom line is nothing short of amazing regardless of the type of business he was in (could have been football, could have been widgets). The quality of the product the NFL has offered up over the past three decades has been largely funded by Bowlen’s business acumen. But as fans, we see only the benefit – the fancy stadiums, the unbelievable television coverage, the uniforms and pageantry and 365-day influence – not the backroom negotiations or fine print of a contract. That’s what Bowlen can boast but never did. Again, Jones played the front man, while Bowlen was less visible. That doesn’t make either man’s contributions greater or lesser, it’s just that the typical observer only sees one. So, when it’s time to vote, the name of the man who’s been in the conversation had by the masses will likely surface first. Unfortunately, it’s been Bowlen’s health that’s pushed his name into the conversation lately. While sad, it’s also created a scenario where those talking are beginning to finally realize all that he’s done for the game. 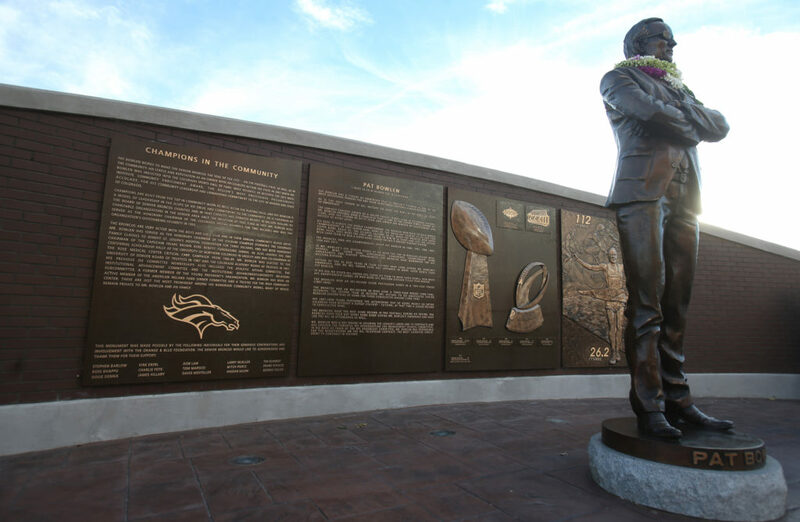 Pat Bowlen will ultimately gain entry into pro football’s most hallowed grounds. But in reality, it should have happened long ago.